Invest in to start blogging? 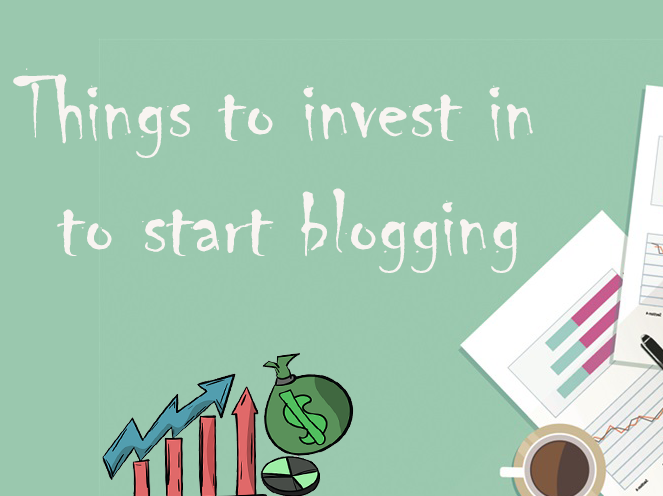 Hello everyone, Today we will know that if you are interested in starting professional blogging then what should you invest on? It would be very important for you to know, because if you invest in the right place, your blogging career becomes very easy. So let's know. Domain name is the first thing you should invest in. Those who are free blogging platforms provide you blogs with subdomains, which are not relevant to traffic gain from the search engine today. So if you want to create your own online identity from your blog, you should first buy a top level domain name. You can buy a domain name as much as you think, at a very low price. I bought my first domain name for only 80 rupees and I would like to tell you that I have purchased a lot of domain names till date but never spent more than Rs. 300 for one domain name. If you would like to buy a domain name by going directly to the domain name registrar such as Godaddy, Namecheap etc., then you may not find this cheap. You should take advantage of their discount coupons and offers, which keep coming from time to time. If you buy a domain name, you can also use it with many free blogging platforms such as Blogger. Web Hosting is Next Needs As I mentioned above, you can use your domain with a free blogging platform such as Blogger, but it has many limitations. So if you want to do professional blogging and want to make money with blogging, then you have to choose WordPress premium platform. Actually wordpress itself is free but for that you need web hosting. That's why you need web hosting. For this reason web hosting is on the second number in our list of investments. If you choose WordPress, there are lots of resources available to help you in it, such as on ShoutMeHindi you will find many helpful blog posts related to WordPress. Now if you do both the above mentioned investments, then it is enough. 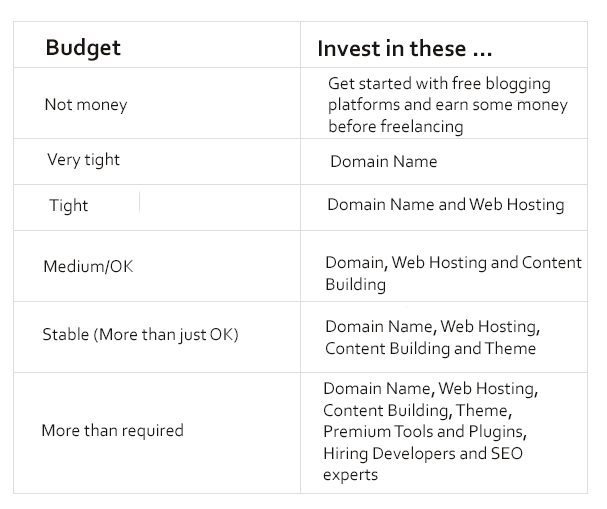 But if your budget is even more then you can do some more investments, which can make your blogging journey even easier. If there is no problem with money, what should I invest? As I told you that you have to choose a WordPress platform to do professional blogging, now you also need a theme for your blog. However, many themes are also available for free but free themes are not so customizable that we can use them for professional blogging. If you have a good budget then you should buy a premium theme. The power of WordPress is its plugins. Many WordPress plugins are free but there are many plugins that are much more powerful and beneficial than free plugins, but you have to buy them, you can also invest in such plugins as well. There are some tools that help increase your keyword research, blog analysis and traffic, you can also invest on such tools. If you are a busy person, or are not so qualified to write quality content regularly, which is very important in blogging, then you can hire content writers. There are lots of things that you can not do yourself, such as the customization of the theme or to edit videos etc. for which you can freelancers. If you want to see your blog grow in the form of a brand from the beginning, then you can resort to advertsing. As you can use Facebook advertsing you can find likes on your page. Similarly, you can increase your twitter followers and thus create your own identity on social media. In Short You can invest according to your budget according to the tables given below. Hope you find this information beneficial. If so, please share it and do not forget to subscribe to us.